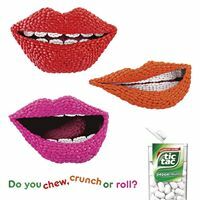 Actually, Tic Tacs never have left us, but the latest integrated CHEW-CRUNCH-ROLL campaign by Tic Tac saw Brisbane bombarded this week with transit bus stop posters, TVCs, a quiz in mX newspaper and placement on the back of seats on QR trains. 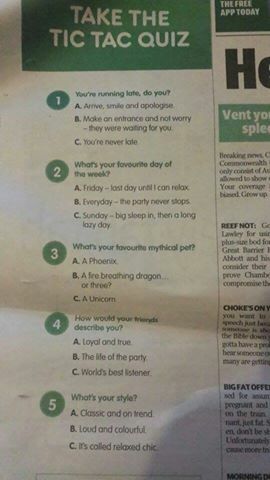 You can take the quiz here. Tic Tacs have been in Australia since 1976, so could be considered to be in the mature product life-cycle stage. Besides the original Fresh mint flavour, new varieties have been added over the past 25 years including: cinnamon, orange, and an orange and grape mix (in 1976), spearmint, peppermint, powermint, sour apple, mandarin, tangarine, berry, fresh orange, strawberry, wintergreen, pink grapefruit, orange and lime together, cherry, passion fruit, pomegranate, mango and lime. The grape flavor was eliminated in 1976 because of health concerns about the red dye. Exotic Cherry, Berry Blast, and Paradise Mint are the newest range. During this time there have been some great tag lines. The first was “The 1½ Calorie Breath Mint”, however changed to “Two hours of Tic Tac freshness in less than two calories”. 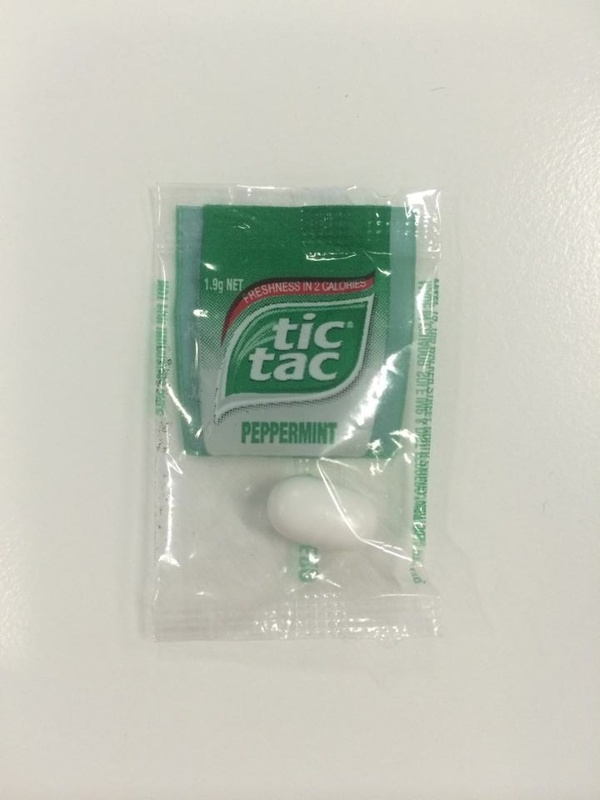 In Canada, New Zealand and Australia, and the United States, the successful slogan of “it’s not just a mint, it’s a tic tac” was used. The Tic Tac girl was also a successful add in. Interestingly, this recent integrated campaign saw sampling being utilised. However, only one Tic Tac was distributed. There could be debate as to the success of just giving out one Tic Tac; weighing up the cost versus the intended benefit. Giving one Tic Tac could be seen as a great teaser campaign, but also shows the insight into consumers wanting more. The theory of economics and consumption also applies here. Supply versus demand: oooh that does taste good, I will have to buy me a packet. It also places Tic Tacs to the top-of-mind for many consumers who may have forgotten about them. Long-term memories are evoked, as consumers would have had previous interactions with Tic Tacs. So many psychological aspects goes into such a campaign. So I must ask the question, is a sample of one enough for you? Is one enough in a sample?